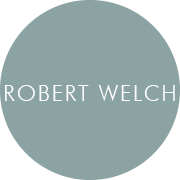 Every Robert Welch product is designed in the Old Silk Mill at Chipping Campden by the Robert Welch design team. The Mill, nestled in the English Cotswold Hills, is where founder, Robert Welch, began designing in one small room, back in 1955. Robert Welch design products that you will enjoy seeing and using day after day. The very best design, materials and craftsmanship go into the making of the products.